I'll stick this thread up here again -- I'm going to be away on vacation for a few weeks so I may not get to really start Z2 until the end of March. It's hard to believe that when I started this I thought I might play the classic series and then quit. 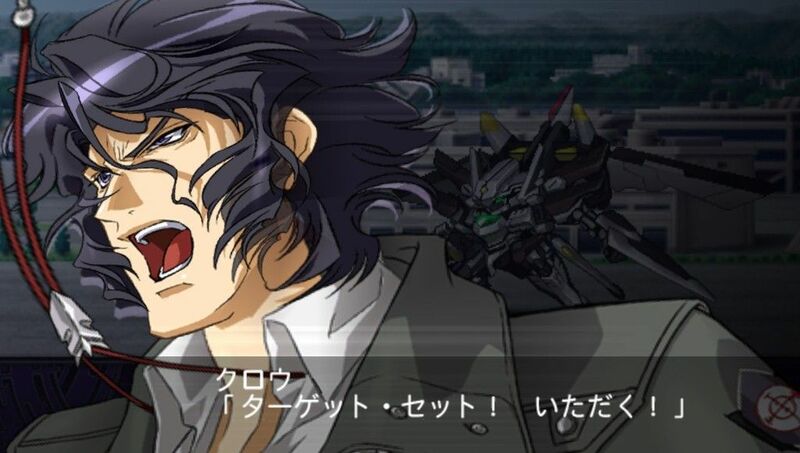 Here I am having played 40 fricking SRW games, and I'm way beyond the latest game in the series when I started. ABOUT SPOILERS: Please don't put plot spoilers for games I haven't played or for later in the game I'm playing. Gameplay spoilers I don't care about. Sometimes I will ask a question like "How will they deal with the Evangelion ending?" I'm not actually asking for someone to spoil the plot and answer it; that's just something I'm waiting to see how to story deals with. I haven't heard good things about Z3 so I'm not looking forward to it, but I'll get there eventually I guess. OK, here we go. I'll be gone from March 9-20 so probably I will only get a couple of stages up before I leave. I'm trying this on PPSSPP; it seems to run fine with only an occasional hiccup. The PSP had a strange lifecycle, as can be seen by the SRW games. 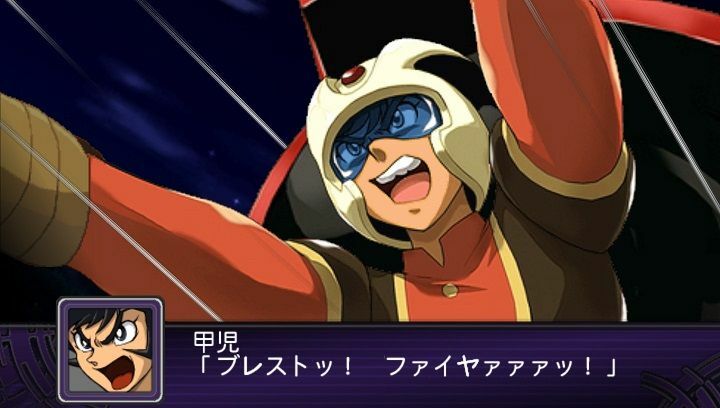 The first SRW game for PSP came out in 2005, but it wasn't until 2011 that an original game was released for the system. This was because the PS2 was dead but developers weren't willing to commit to the PS3 yet, so they went for PSP instead. Monster Hunter's popularity had also caused a resurgence in the PSP's popularity. So the next 3 SRW games are for this system. Z2 was released in two parts, the first multi-part game since Compact 2. The game has a large series list. Most (all?) of the series from Z1 return. New to the Z series (but not the franchise) are Trider G7, Godmars, Gundam Wing, Dancougar, Dancougar Nova, Change! Getter Robo, and Macross F. Completely new to the franchise are Votoms, Gundam 00, Shin Mazinger shougeki!, Daiguard, Code Geass, Gurren Lagan, and the Eureka 7 movie. This contains a lot of anticipated titles that many people wanted to see in the series. 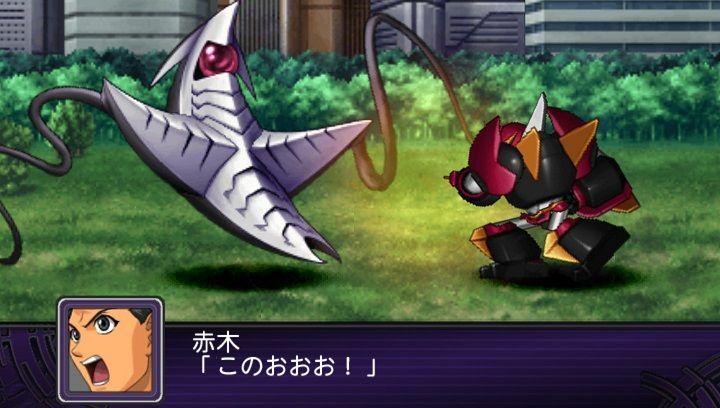 The gameplay is similar to Z, with a few new tweaks -- the Combo Attack system comes in from the portable games (in a modified form), the Ace Bonus system is changed a bit, and you can now assign your spare units to tasks like training, patrol, or simulation if they're not going out in the next mission. The opening seems to continue off of Z1, but the world map shows a normal Earth. I thought the post-crisis world in Z1 had different continents from Turn A and X and such? Anyway, of course the Earth is back in complete chaos. These people are going to need serious counseling. Our protagonist is Crow Brust, who owes a million G and has to go work for a crazy mech developer to earn his money. Wufei also shows up. 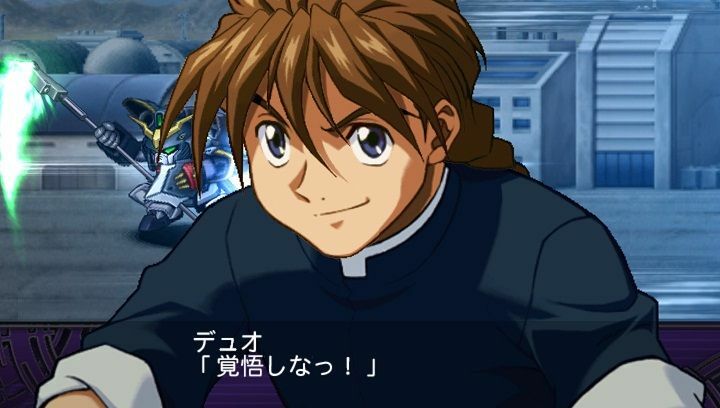 Gundam Wing hasn't been in a game since D (I think? ), so it's interesting to see that after so much use of Endless Waltz we can see regular Wing again. I like the "999,999 G debt remaining" window at the end of the stage. It's time for some Hakai-hen! I remember all the hype me and my friends built up for this game when it was released and none of us was let down. The second time I played through it I could finally understand the story as well, although I don't remember it as something out of this worldly-good it was still interesting to keep me interested. I especially like Crow as a character which probably comes a lot from the voice actor that fits his mood just perfectly. 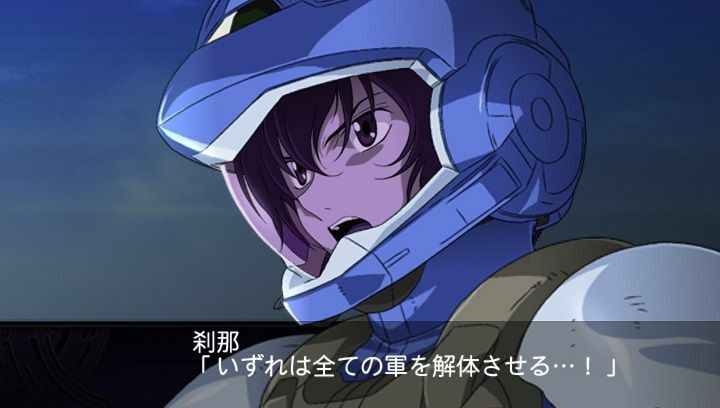 Now we move to Gundam 00, which I only know from the brief appearances in the mobile game. The enemies in 00 seem to be working with Oz and the Romefeller Foundation in some capacity, but of course Celestial Being will oppose them all. Stage 3A - Power Up! Mazinger! I'm still a little confused about the setting here, but after this stage it seems like this is a separate world from Z1. Although they mention a time crash of some sort, but 20 years ago. 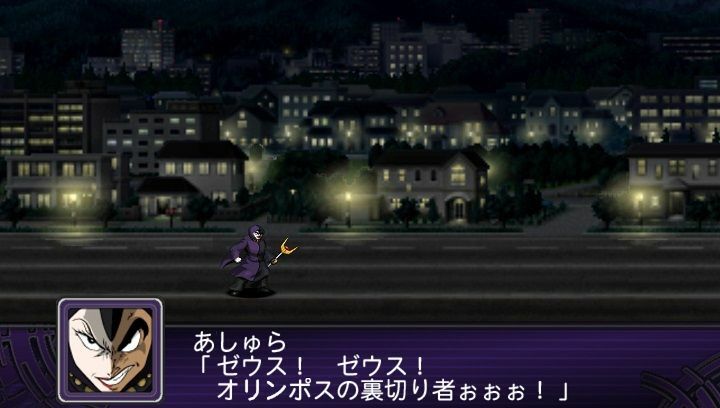 In any case this is definitely a separate Kouji and crew from the one that was in Z1. Will we get two Koujis meeting in this game? Ashura becomes the next entry in the small group of people who appear outside of a mech or power suit, etc (joining the likes of Master Asia, Domon, and Albert). SR: Destroy Garuda K7 in 3 turns of its arriving. Dai-Guard starts, and we see what happens when bureaucracy and Super Robots combine. The Heterodyne enemy looks like that one Angel from Evangelion. I'll pick this up in a few weeks when I get back. The only problem I had with the Z2 games was the lack of difficulty. Most of the time I do a no-upgrade run until I start hitting some problems but, the Z2 games throw so many overpowered units at you. Story-wise they had a lot of cross-over moments that actually affected battles vs just conversations.